All the unsold paintings have been listed online, as well as Richard Gere’s autographed photo entitled Cairo, and Eric Rippert (Le Bernadin) autographed cookbooks. Limited amounts of the jewelry that was on display will be uploaded shortly. If there is something we missed that you wanted, here’s a second chance to purchase it! Any questions AT ALL can be directed to me at the email lisabratt@live.com – I’m happy to help. 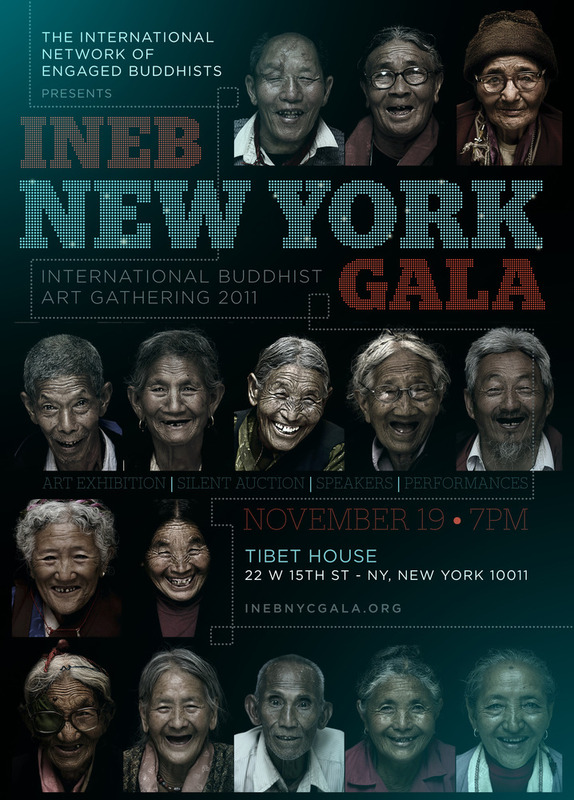 INEB and Tibet House together invite you to the final exhibition and evening Gala celebration of the International Buddhist Art Gathering 2011. 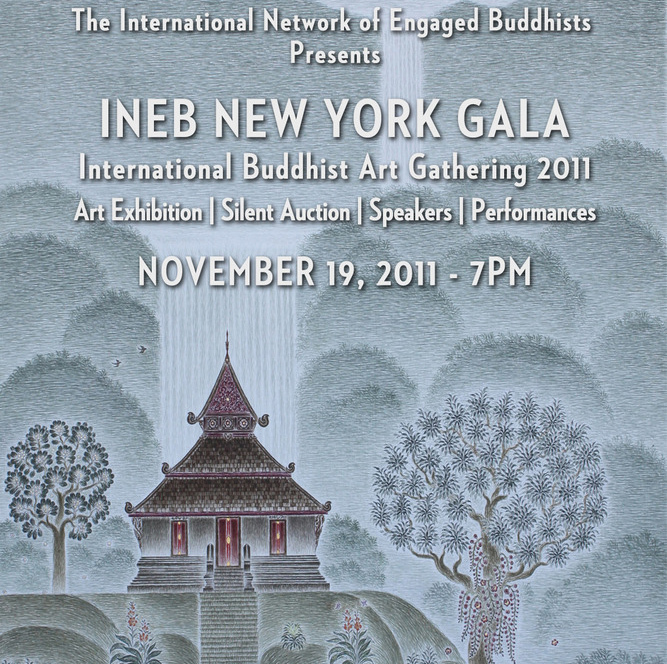 Join us at Tibet House, NYC, Saturday, November 19, 2011, at 7 pm for a silent auction of Buddhist artwork, unique gems and other artistic representations of Buddhist countries. Commentary by celebrated speakers Ajarn Sulak Sivaraksa, winner of the 2011 Niwano Peace Prize, and Bernie Glassman, founder of Greyston Bakeries. Ajahn Sulak?s latest publication The Wisdom of Sustainability will be available for purchase and autograph from 8-9pm only.